I was born in Denmark, raised in Utah, and now I live in Las Vegas with my husband and our dog, Bran. I love fruit. Give me a piece and I’ll immediately devour it! I have a hard time multi-tasking, but I can manage to walk and chew gum at the same time. When I’m writing, I completely block out the world, and, unfortunately, if someone asks me a question during that time, they’ll probably get the wrong answer. “I said what?” could be stamped on my forehead. Questions: What do you do when you are not writing? When I’m not pounding away on my keyboard, I’m reading, travelling, exercising, golfing, or watching a movie. Question: _ Do you have a day job as well? No. I left my day job four years ago. Now I love the freedom of setting my own schedule, and I can completely immerse myself into my writing. Question: When did you first start writing and when did you finish your first book? I thought about writing a novel for five years before I actually put a word on paper. Each year the desire grew, but so did the uncertainty that I could accomplish that task. Then my muse insisted I get started, and she wouldn’t let up. Finally in December 2009, I couldn’t take her badgering me anymore. I sat down at my computer and the words flowed onto the pages. Within a month, I had completed my first draft. Question: How did you choose the genre you write in? I’m a multi-genre writer. I never started out choosing a genre. It was almost like the genre picked me through vivid dreams and my muse. Dreams, life experiences, and news article. Ideas just keep popping into my mind. Right now, I have two stories buzzing around in my head that I’m longing to write, but first I need to do some editing on the manuscripts I’ve already written. Question:Do you ever experience writer’s block? Questions: Is anything in your book based on real life experiences or purely all imagination? The cities and some of the buildings exist, but, outside that, the novel is completely a work of fiction. Question: Will you have a new book coming out soon? 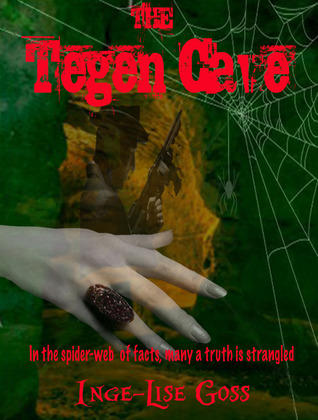 I’m working on getting the Tegen Justice, a sequel to The Tegen Cave, ready to send to an editor. It will have another crime family in it as Sara Jones uses her tegen abilities to try to damage the drug trafficking business. She’ll encounter unexpected obstacles along the way and come face-to-face with a tegen enforcer, a guy no one wants to come knocking on their door. And, of course, there will be spiders! Question: What has been the toughest criticism given to you as an author? What has been the best compliment? It would be fantastic if everyone liked to read novels, but there are some people that never pick up a book or use e-readers. I met one of those individuals at a social gathering. When a friend introduced me to him, she mentioned I was an author. Almost the first thing that came out of his mouth was, “Author? Why do you bother writing? No one reads these days. Look at all the book stores that have closed down.” I attempted to explain to him that more people are buying books online, but it was like talking to a stone pillar. He even went on to say I should find another “hobby.” I quickly excused myself and joined other guests. The best compliment I received came a few days after my novel appeared on Amazon. It was the first review posted by a complete stranger. She loved my novel! Yay! I couldn’t stop smiling the rest of the day. 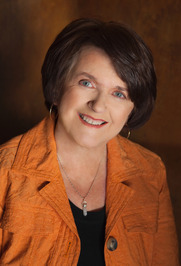 What more could a writer want than to know people enjoy her novels?